The Singapore Hotel Industry Study (formerly known as the Survey of Hotel Operations), is a comprehensive report detailing key developments and recent trends of the hospitality industry. 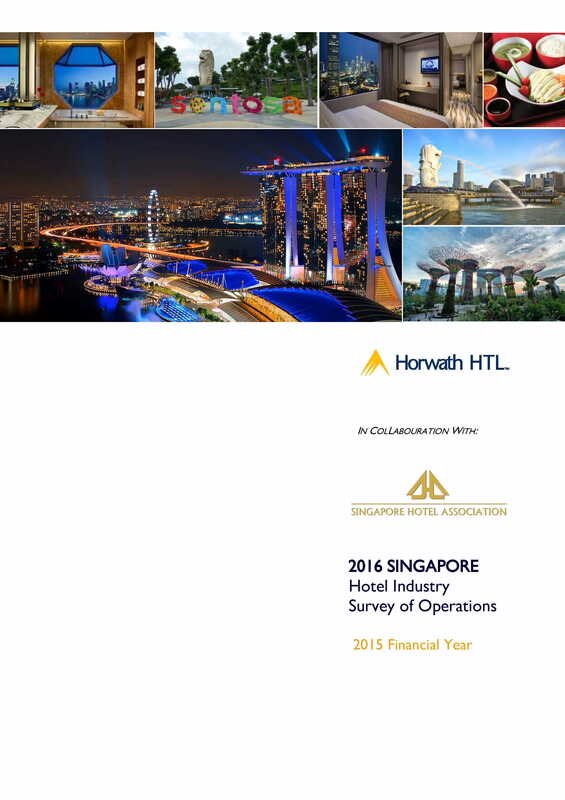 The publication is a collaboration between the Singapore Hotel Association and Horwath HTL. For more information on how to purchase, please visit Horwath HTL. Published by SPRING Singapore in 2009, the SS545 Singapore Standard for Hotel Security provides a framework for hotels to assist them in setting up a security management system. For more information on how to purchase, please visit SPRING Singapore. *The above prices do not include the cost of mailing, and are subject to prevailing GST charges. SHA reserves the right to change the price without prior notice.